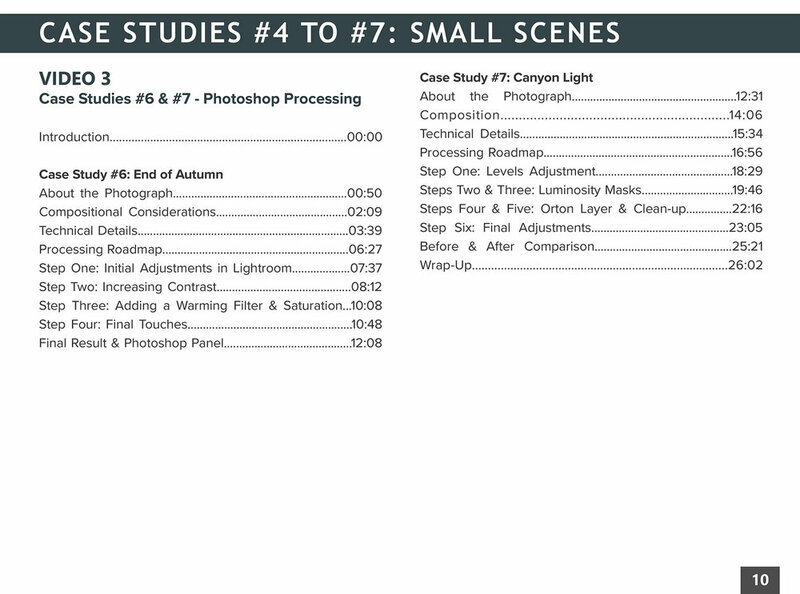 From Field to Finished: Seven Workshop-Style Case Studies is an in-depth video tutorial that follows the creation of seven photographs from the concept in the field through the final photo processing steps. Although this tutorial features photos from Zion National Park, the lessons can be applied to any scenic or wild place. 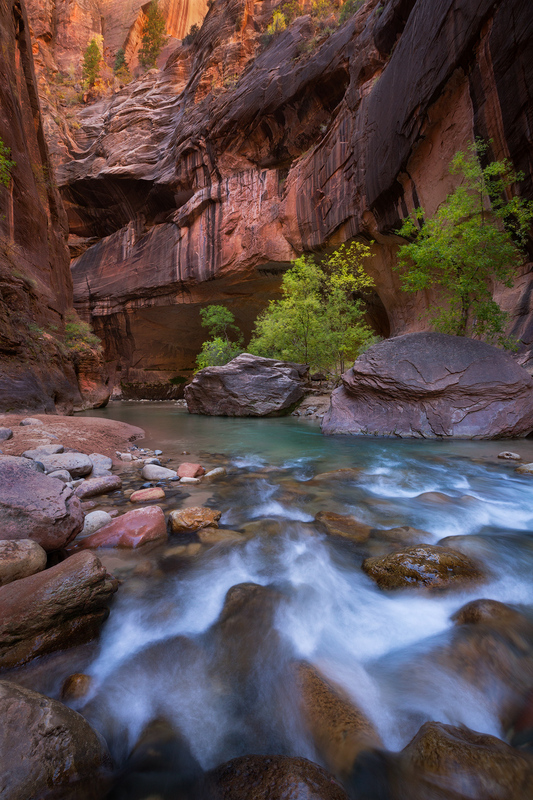 Photographing in diverse conditions, including the challenging Zion Narrows, in the backcountry, and in winter. Making creative choices, working through compositions in the field, and then assessing your options when you are ready to select a photo for processing. Technical decisions for a variety of scenarios, including aperture, shutter speed, ISO, and focusing. Processing techniques that enhance a photo while keeping it grounded in reality. These videos include start-to-finish examples of processing photographs using Adobe Lightroom alone, Adobe Lightroom and Adobe Photoshop combined, and Photoshop alone. Photo processing topics include processing a RAW file; adjusting exposure, contrast, and colors; emphasizing and de-emphasizing elements with a photo; enhancing natural lighting conditions; using processing techniques to optimize a composition; applying the Orton effect; using luminosity masks; and an easy exposure blend. More than three hours of video-based instruction, split into ten video segments. Workshop-style lessons that you can immediately integrate into your own workflow. 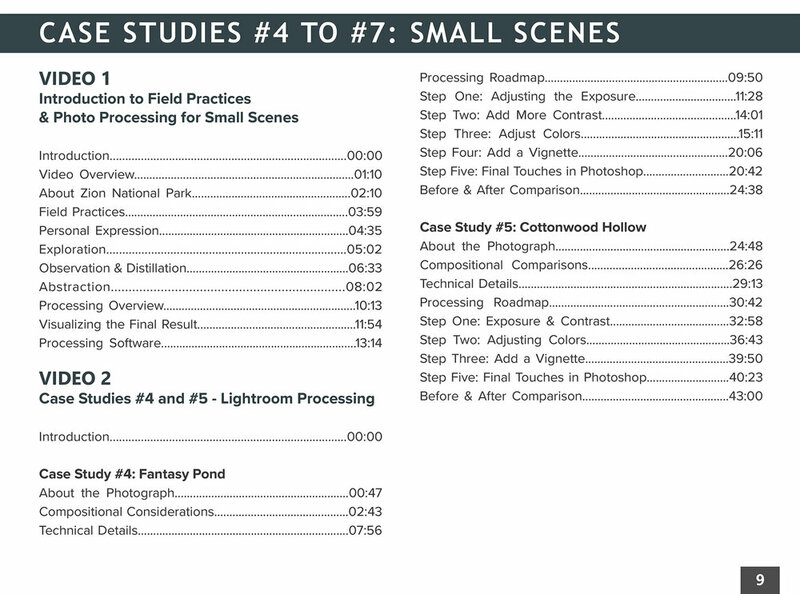 8 practice files to use in following along with the processing tutorials. A table of contents for each video. This video is intended for beginning to intermediate nature photographers. An understanding of the basics of Adobe Lightroom and Photoshop will help you get the most out of these videos. This 10-minute tutorial on YouTube will give you an idea of how we approach our video courses. We focus on sharing practical information with lessons that you can immediately implement in your own photography practice.